Each design studio under the group umbrella bears its own distinct creative language, and between them the five fabrics and wallpapers brands form an important part of both decorative heritage and textile innovation, meeting the demands of a global market. From the Mayfair studios, design director Sarah MacGregor takes the lead at British brands Colefax and Fowler and Jane Churchill. 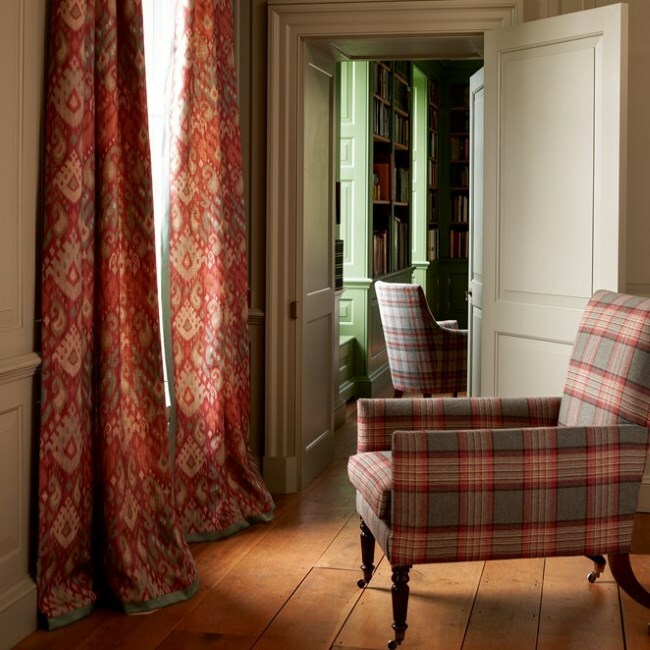 The studio ensures that timeless elegance continues to define Colefax and Fowler’s essentially English aesthetic. The brand’s collections are characterised by sophisticated designs, created using advanced printing and weaving techniques, in subtle colours. 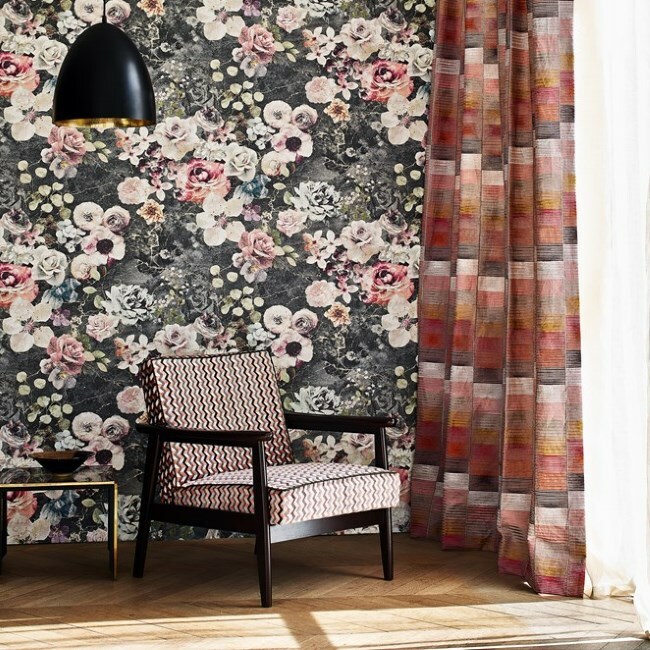 Each annual collection features striking prints, silk and linen embroideries (influenced by Indienne, paisley, Persian and botanical documents), luxurious velvets and weaves, and a beautiful series of decorative and textured wallpapers. Jane Churchill proposes a fashionable, informal take on the British look. Designs tend towards contemporary elegance with an artistic twist, envisioned with modern living in mind. The studio creates striking embroideries, lively prints, and rich weaves in a generous palette of inspiring hues. Often delivered in luminous finishes, the brand’s fabrics and wallpapers produce vibrant, uplifting interiors. In addition to the signature collection, the contemporary Atmosphere line offers a palette of neutrals and metallics across velvets, weaves and jacquards in luxurious graphics and abstract embroideries. Jane Churchill wallpapers feature classic designs, while the Atmosphere wallpapers offer rich textures and painterly effects in a decidedly contemporary look. Completing the ranges is a delightful series of patterns for children’s rooms. 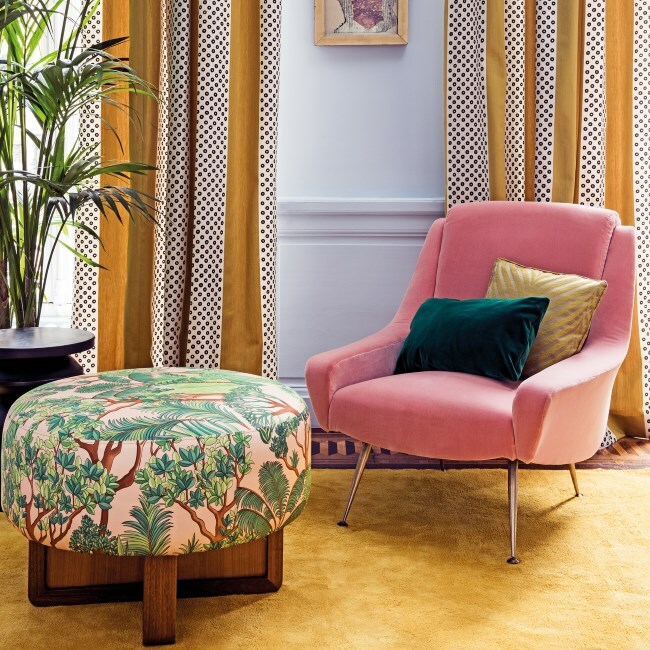 Located on rue Royale in Paris, the Manuel Canovas studio is overseen by design director Ariane Dalle. She channels her expressive vision to create bold designs that are chic, rich, and boast striking harmonies of colour. Faithful to the French art de vivre, with a touch of 18th-century nostalgia, fabulous designs are inspired by journeys to exotic locations and rare archival documents. Renowned for their vibrant colour harmonies and stylish prints, Canovas collections feature embroideries, woven plains in extensive colour ranges, luxurious velvets, elegant damasks, stripes and striking toiles de jouy. This foremost French fabric house, known for its spectacularly coloured toiles de jouy wallpapers, also features beautifully coloured large-scale pictorial papers in vivid colours which capture exquisite detail of elegant engravings depicting historic and decorative scenes. Jack Lenor Larsen founded his pioneering textile studio in New York during the 1950s. He invested great passion into sourcing global inspiration and exploring traditional and contemporary weaving techniques. The results were stunning, innovative designs, with an authentic graphic touch, that are highly respected by the craft and design world. Larsen’s abundant back catalogue of abstract designs continues to define this eminent studio’s fabric and weave designs, also overseen by Ariane Dalle in Paris. For Larsen she re-works enduring textile traditions for a modern vision. Fabric collections feature pure geometric patterns, cutting-edge embroideries, luxurious weaves and stunning sheers in the finest linen and silk, while distinctive textural effects and striking colours are hallmarks of the Larsen wallpaper collection. The studio’s overall design ethic is resolutely contemporary and presents supreme sophistication by merging beautiful yarns and colours with timeless aesthetics.